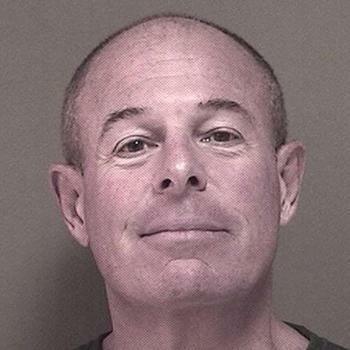 A New Jersey attorney who taught seminars on elder law and hosted a radio show dispensing advice has been arrested on charges that he stole more than $1.2 million from elderly clients. The victims in some cases did not have close relatives to guard their interests or suffered from dementia, according to New Jersey Attorney General Christopher S. Porrino. Detectives of the Division of Criminal Justice arrested Robert Novy, 65, of Brick, N.J., on charges of first-degree money laundering, second-degree theft by unlawful taking, and second-degree misapplication of entrusted property. The Attorney General’s Office obtained a court order freezing over $3.5 million in assets held in various bank accounts of Novy and his law firm and asked a judge to appoint a trustee to oversee the business operations of the law firm. From 2010 through 2015, Novy allegedly stole more than $1.2 million from four clients. He allegedly laundered most of the funds through his attorney trust accounts and/or attorney business accounts. Other transactions are still being studied, investigators said. Novy has conducted seminars on elder law and hosted a bi-monthly radio program “Inside the Law,” which focused on topics of concern to senior citizens. $78,000 from an 88-year-old woman who suffered from dementia, billing the woman and her estate a total of $78,000 that was not supported by any invoice or records showing justification. $176,000 from an 85-year-old woman who suffered from Alzheimer’s. Among other things, he allegedly withdrew funds directly from her personal account totaling nearly $60,000, converting them into cashier’s checks and depositing the checks directly into his personal account, prosecutors said. $459,000 from an 87-year-old woman. Among other things, he deposited proceeds totaling roughly $387,000 from two annuities into his attorney trust account, and subsequently transferred those funds into his law firm’s business accounts, Porrino said. $550,000 from another elderly woman. He allegedly transferred nearly $300,000 that he held for her in his attorney trust account into the firm’s business accounts without any invoices or evidence that legal services were provided.